Village at Breckenridge Condo are ski in ski out condos in Breckenridge Real Estate. 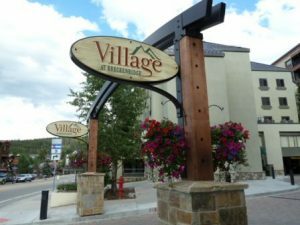 Located at the Base of Peak 9 and steps from Main Street Breckenridge, Village at Breckenridge condos are centrally located. Completed in 1980-1981 these condo buildings received a renovation and facelift in 2010 making them like new. The renovation included re-siding all the buildings, remodeling all interior hallways, putting on new decks and railings and so much more. With the new renovation the buildings each took on new names, Antero (previously Building I), Shavano (previously Building II) and Wetterhorn (previously Building III). Each building has 5-7 floors with spacious decks that look out over the Town of Breckenridge, Baldy Mountain, Maggie Pond or the Breckenridge Ski Area. The slopeside condos for sale in Breckenridge CO are perfect for visiting in the summer and winter since they are so close to town and skiing. Village at Breckenridge Condo have 106 units comprised of 30 – one bedrooms, 60 – two bedrooms and 16 – three bedrooms. Each property has access to the covered parking specific to their building, the indoor/outdoor pool, hot tubs, fitness room and lobby onsite. Village at Breckenridge Condos are some of the best ski in ski out condos in Breckenridge CO Real Estate that are more affordable. When looking for condos in Breckenridge CO Real Estate it might feel overwhelming with the number of choices but once you speak with an experienced, knowledgable agents like Justin and Krystal Knott with LIV Sotheby’s International Realty your criteria will par down the options. Start your search today and we will assist you in finding the right property at the right price in Breckenridge Real Estate. Village at Breckenridge Condo in Breckenridge Real Estate may be just the right property for you and your family.